Donald Trump Jr. told members of an elite gun club that he was interested in running for governor of New York. Chelsea Clinton: Although she denied the possibility of a 2020 presidential run, when asked about running for public office in general, she told CBS, "Right now, the answer is no, but I think we all need to be asking ourselves that question periodically." 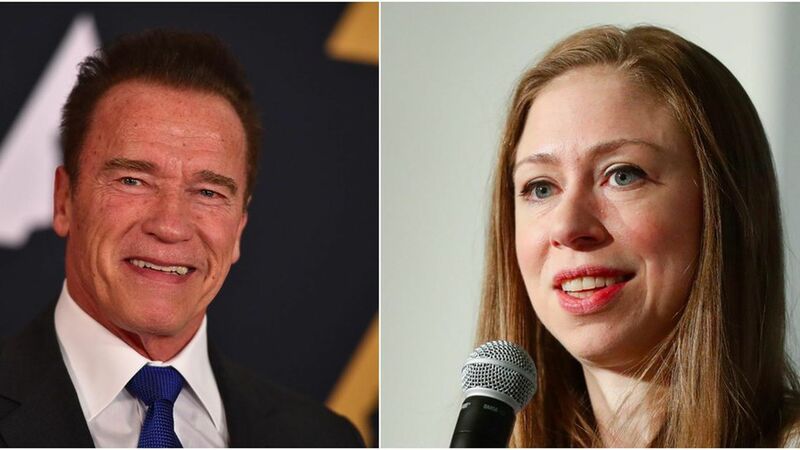 Arnold Schwarzenegger: The Terminator is rumored to be planning a possible run for Senate in 2018, Politico reported. The former California governor has been increasingly politically active since Trump's campaign, making a video about gerrymandering that went viral on social media and criticizing Trump's tweets, budget and other moves. Joe Piscopo — who came to fame in the 80's as an SNL Frank Sinatra impersonator — is considering running for governor of New Jersey, NYT reported. Kid Rock: Last month, Robert Ritchie's name was floated around at the Michigan Republican Party convention as a possible Senate contender in 2018, Roll Call reported.